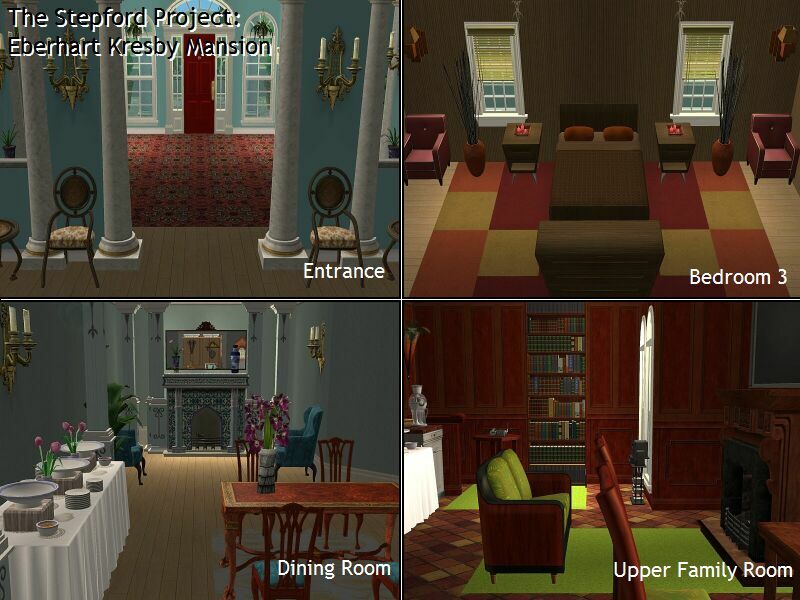 Mod The Sims - The Stepford Project I: 2 Mansions by D.D.I. Be sure to download both "NEW" files from the Downloads area for your house to show properly. Also keep in mind that this lot is a Corner Lot and must be placed on a corner to work properly. See details below. Don't worry, it's easy to do. 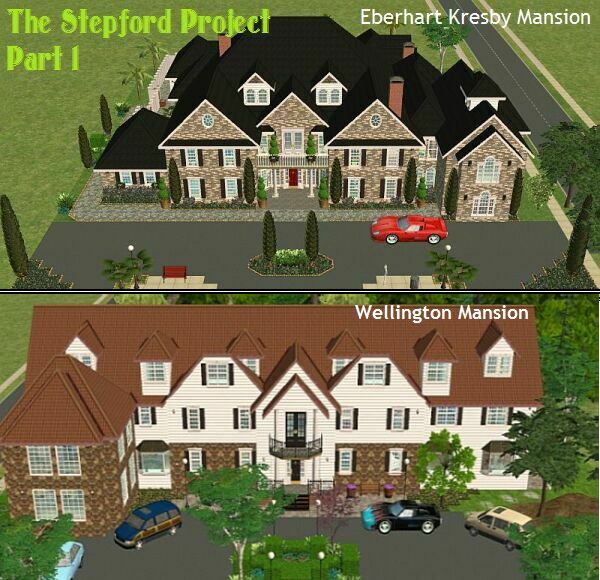 This is Part 1 and includes 2 Stepford Mansions: The Eberhart Kresby Mansion and the Wellington Mansion. 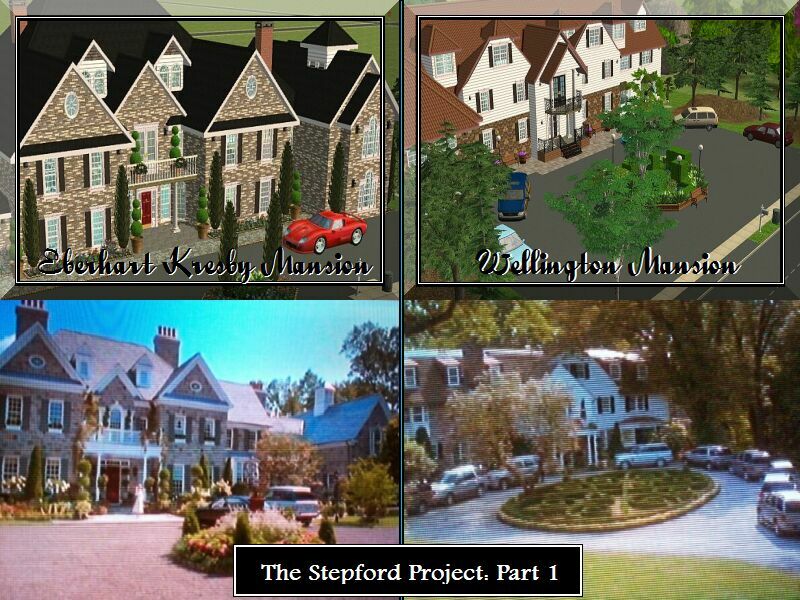 Over time we may add more lots to the Stepford community. Enjoy the downloads! 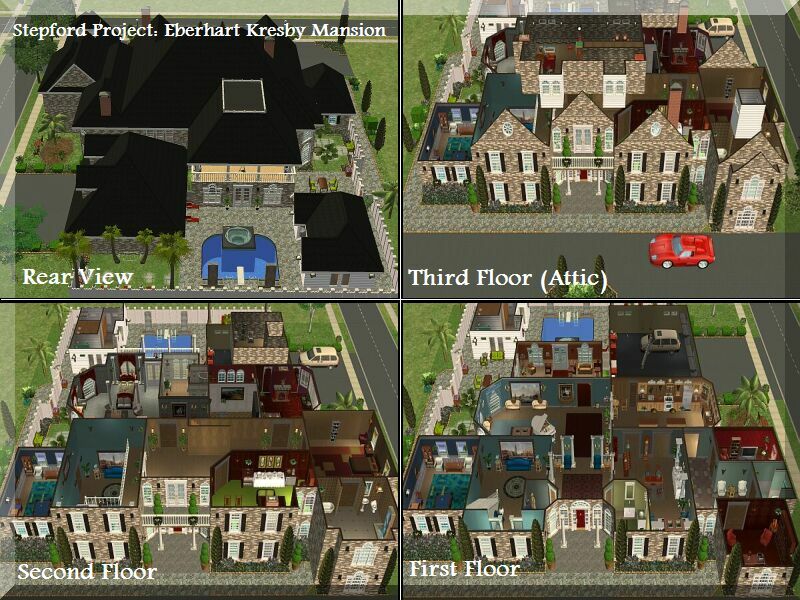 -The Eberhart Mansion is a corner lot. Place the lots with the driveway to the side and the mailbox facing you. You need a lot that has a sidewalk to the front and the right side (a backwards "L" for those of you who are very visual) to place this lot properly. If for some reason you forget and enter the lot, just exit and turn the lot to face the correct direction! Thank you to the following artists for helping to bring this Sim lot to life: Aszek, Flipchick, Lasciel, Paleoanth, Simnuts101, Tigdadx4, Xrax, Marvine, Mzcynnamon, Ailias, Phoenix_Phaerie, Macarossi, Reyn, Patul, Nihilin and Windkeeper. Be sure to browse the links at the end of the post for other fabulous downloads by each artist! 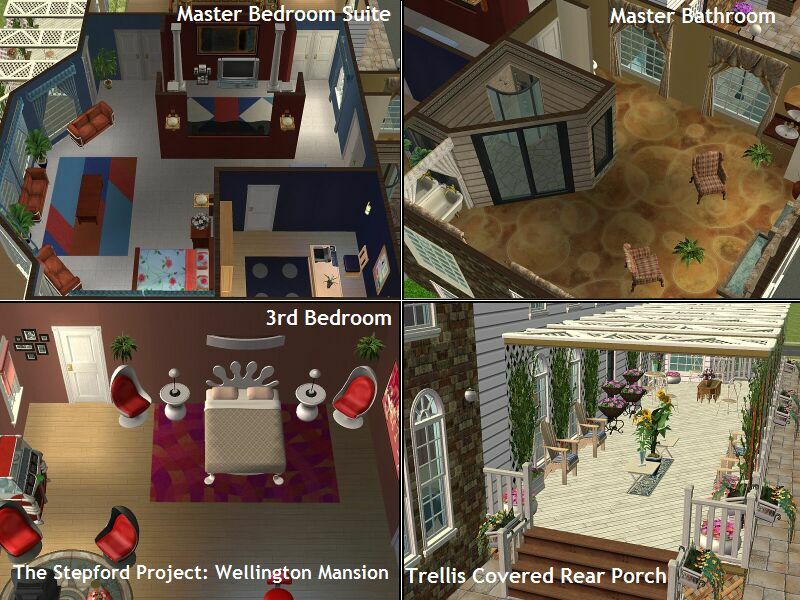 There are certain recolors or bedding that do not automatically zip in Sims2Packs. 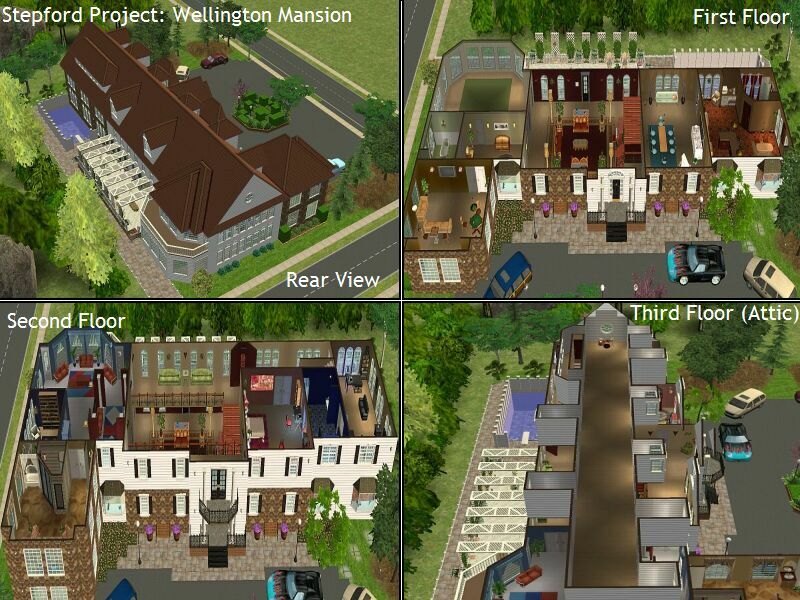 As a result, the bedding for both mansions has been included in the zip with the houses. Be sure to add these items to your downloads folder BEFORE entering the lots. 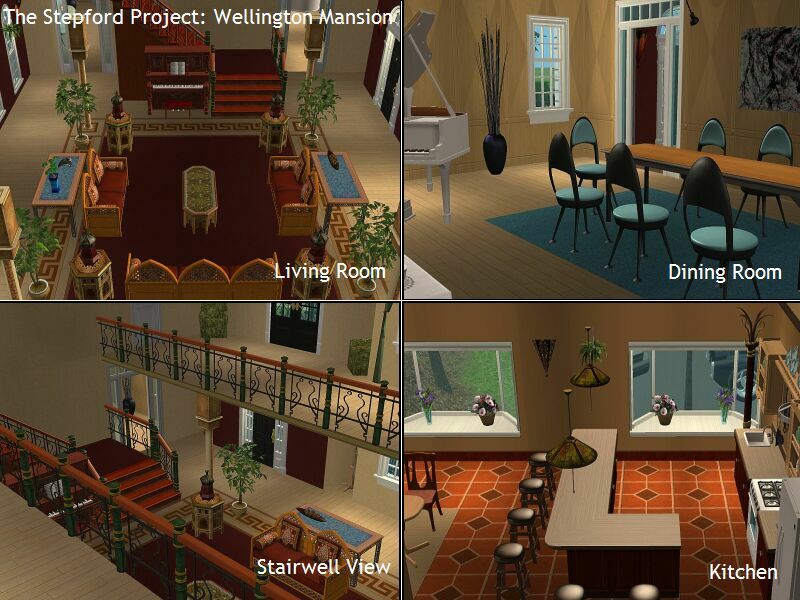 Most of the Custom Content in these downloads is divided between the 2 lots and includes build mode objects like walls, floors, windows, doors and a few flowers. The Eberhart house includes 1 Living Room set by Macarossi. Keep this in mind if you remove the Custom Content. Your lots may not "look" as they do in the picture. 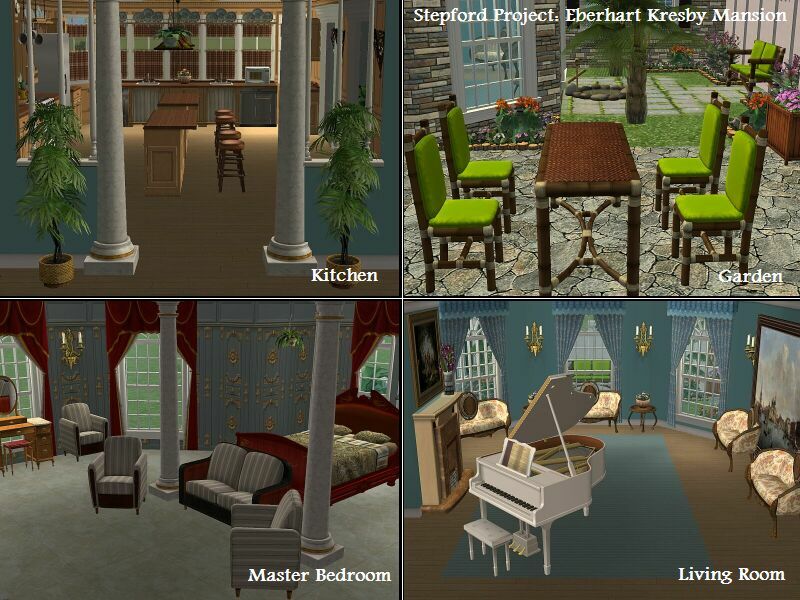 Additional Downloads Added for the REVISED "Eberhart Mansion"
187 people have said thanks to Deluxe Designers Inc. for this download. The Stepford Project IV: Shopping District by D.D.I.